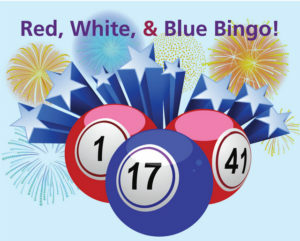 Red, White and Blue Bingo at the VFW hall, July 2nd. Free hot dog for players at intermission! Doors open at 6pm, Bingo starts at 7pm.